Welcome to Borosil (Australia), a dedicated website for our Australian customers. 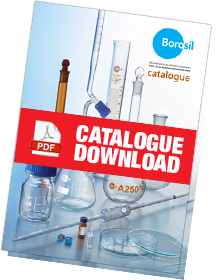 Borosil labware continues to be used in many major research centres, universities and pharmaceutical laboratories along with nuclear and environmental research institutes, where accuracy is of paramount importance. This website includes a large range of Scientific and Laboratory Glassware for you to browse, with the added convenience of online ordering. Can't find what you are looking for? Please contact us with your enquiry.